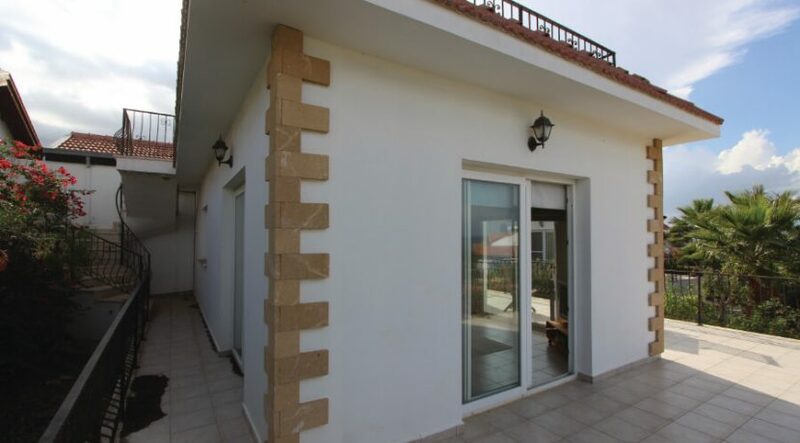 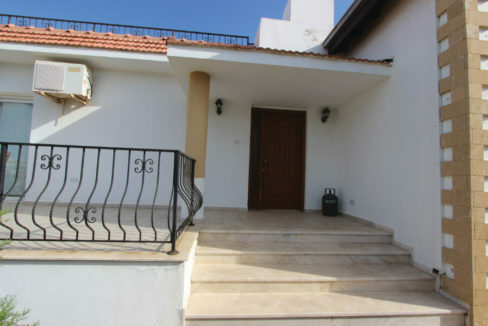 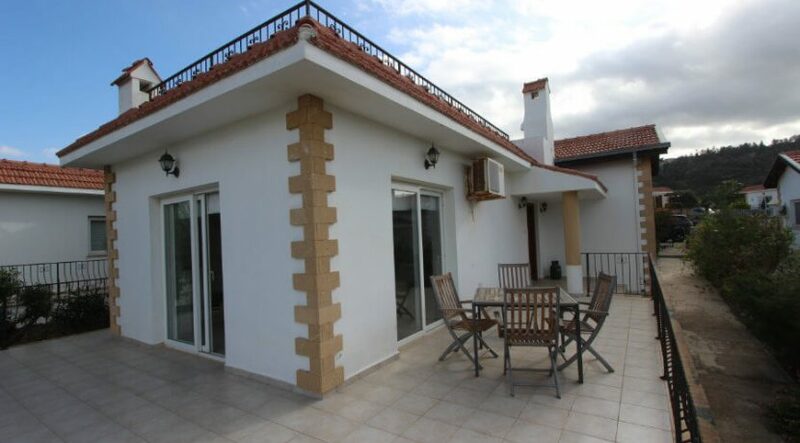 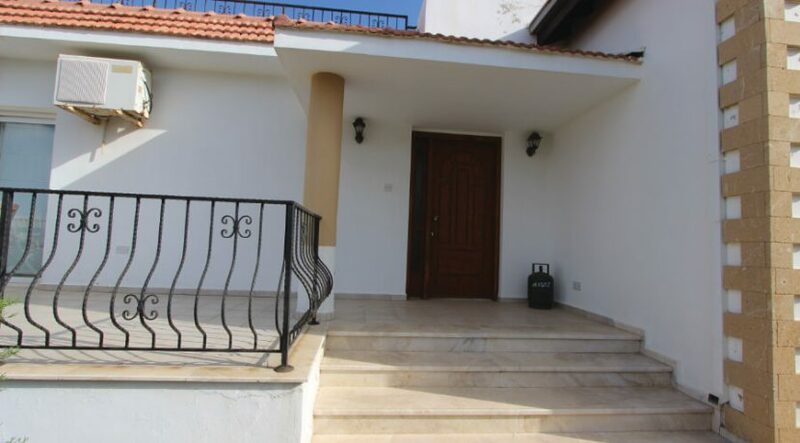 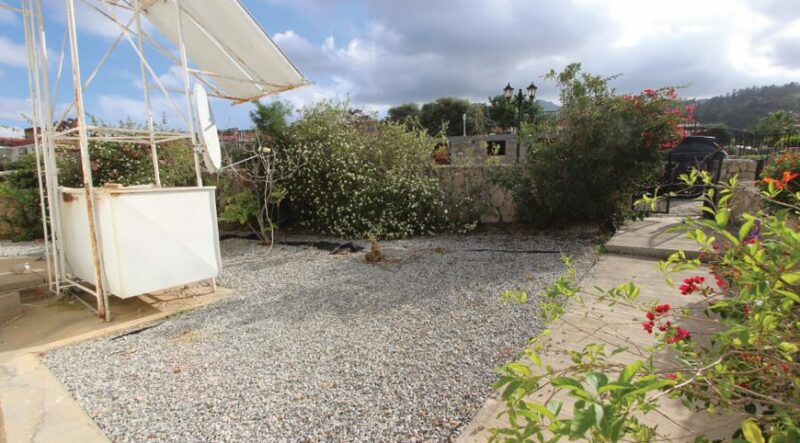 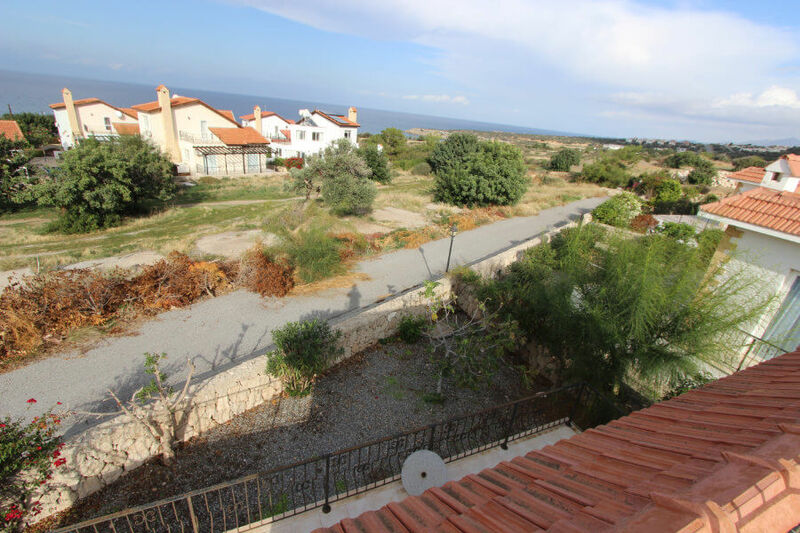 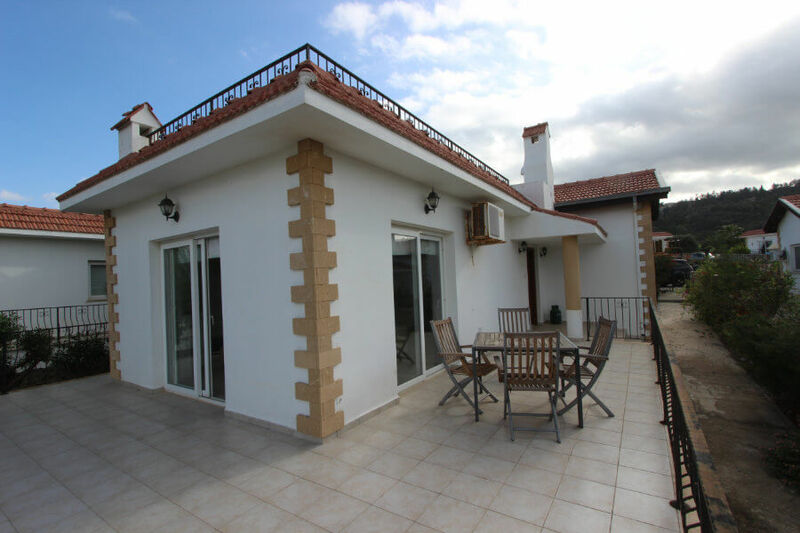 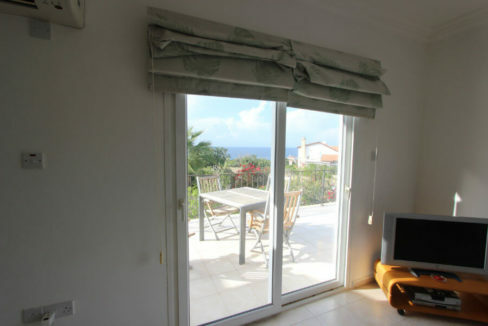 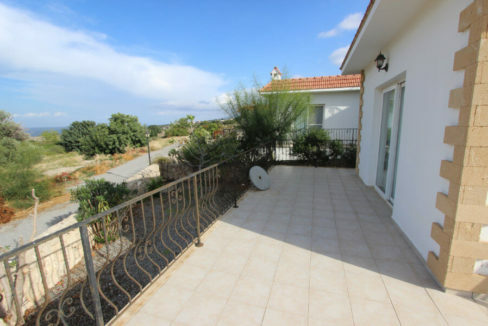 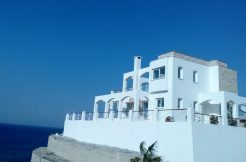 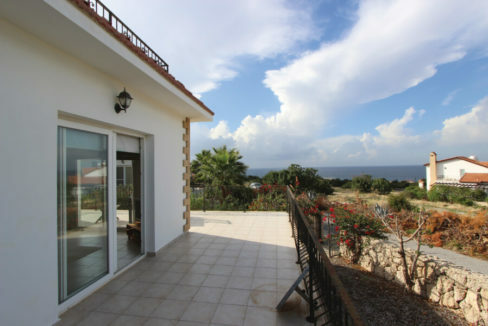 LOW-COST ESENTEPE 85m2 MEDITERRANEAN STYLE BUNGALOW: A detached character home with panoramic roof terrace & garden, close to the beach – for the price of an apartment. 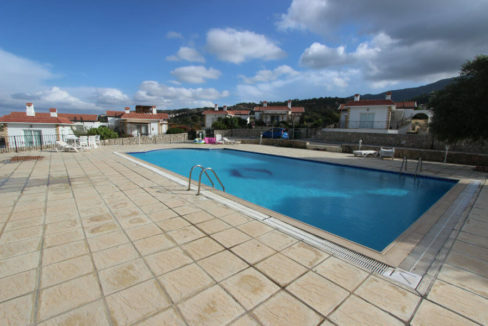 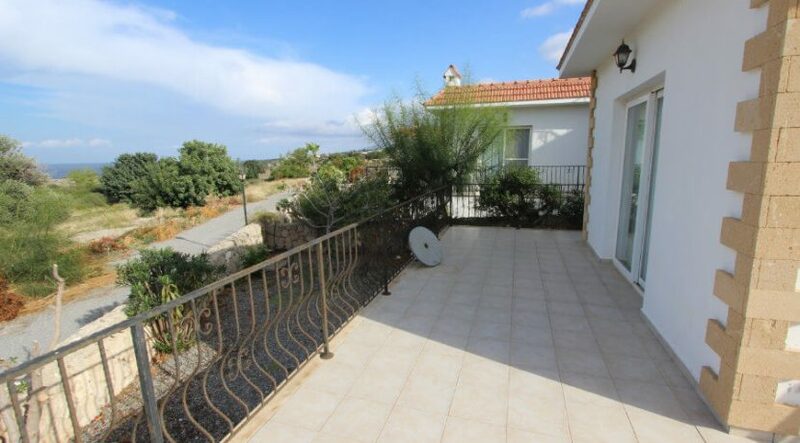 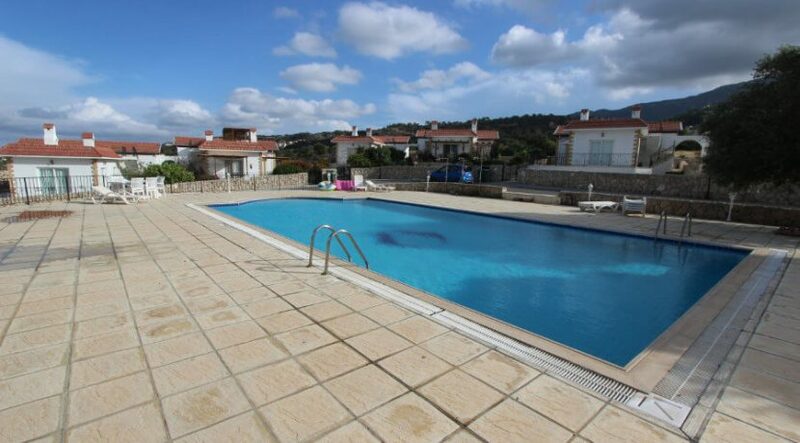 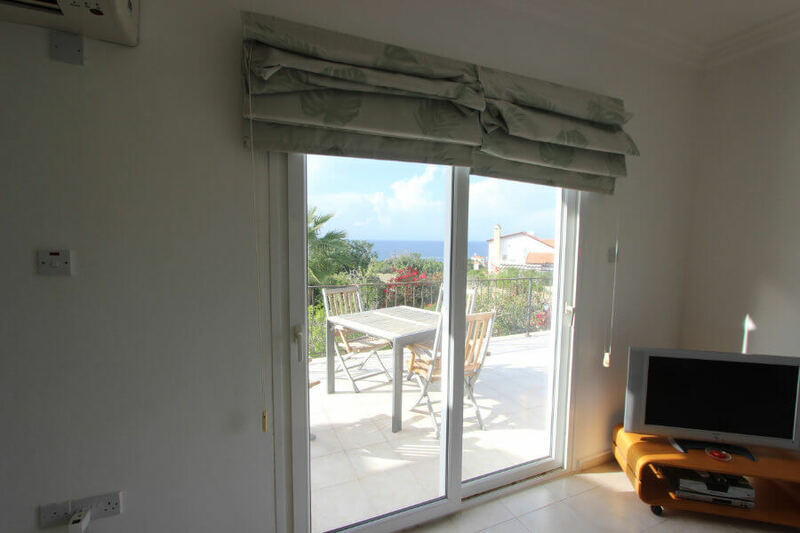 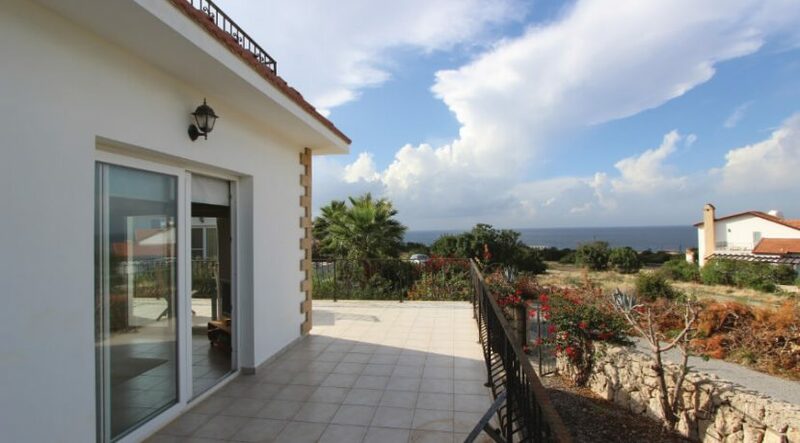 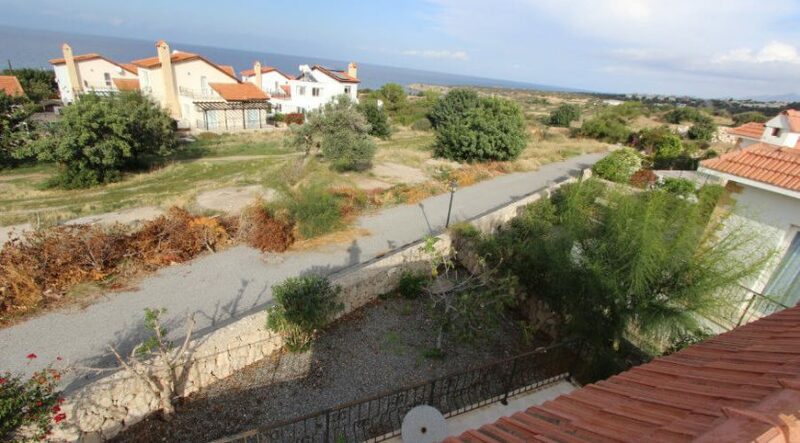 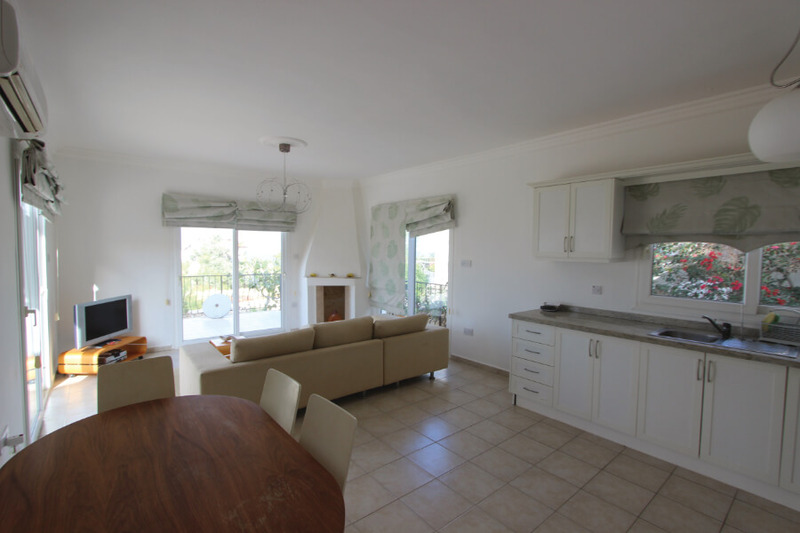 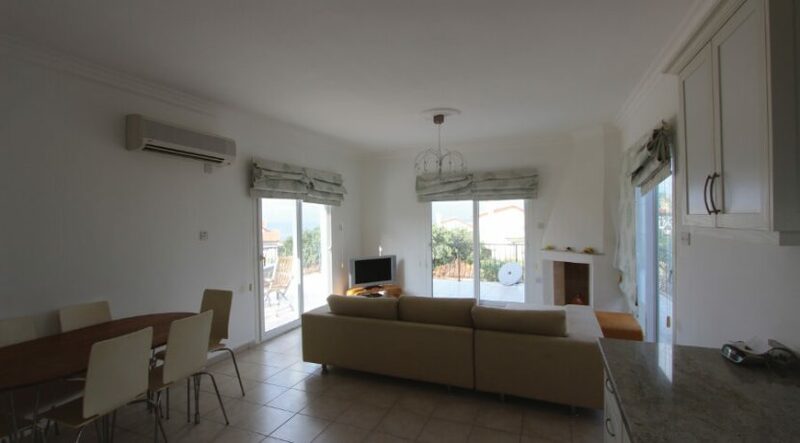 Set on the hillside close to popular Esentepe village is this cluster of residential detached bungalows are set around a lovely shared pool, all with private gardens, parking and with lovely sea views. Near to supermarket, shops, and restaurants, this two-bedroom home feels a lot more spacious than its 85m2 due to the generous wrap-around 50m2 terraces and a private garden as well as the huge 65m2 roof terrace. Park in your private parking space and make your way up the 3 elegant marble steps up to the high-quality wooden front door. 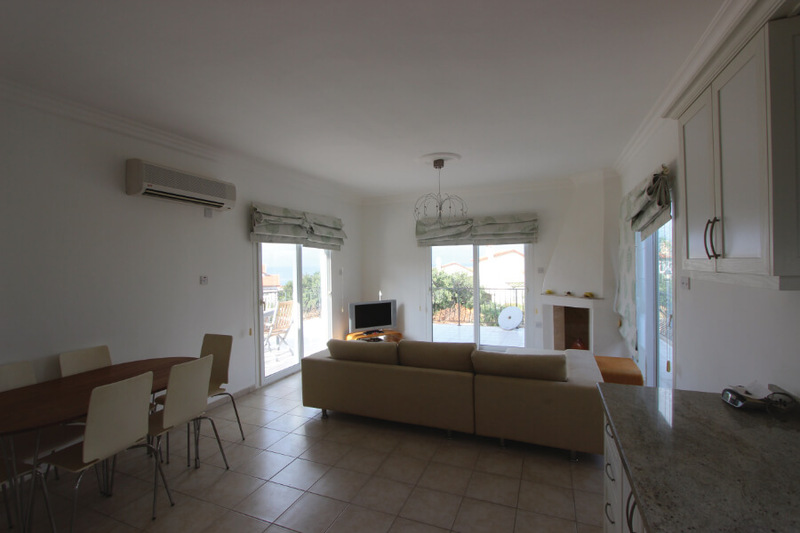 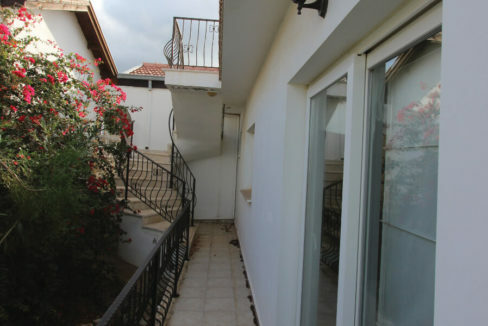 As you enter the property, the living area with sea views is to the left and the bedrooms and bathrooms down a corridor to the right. 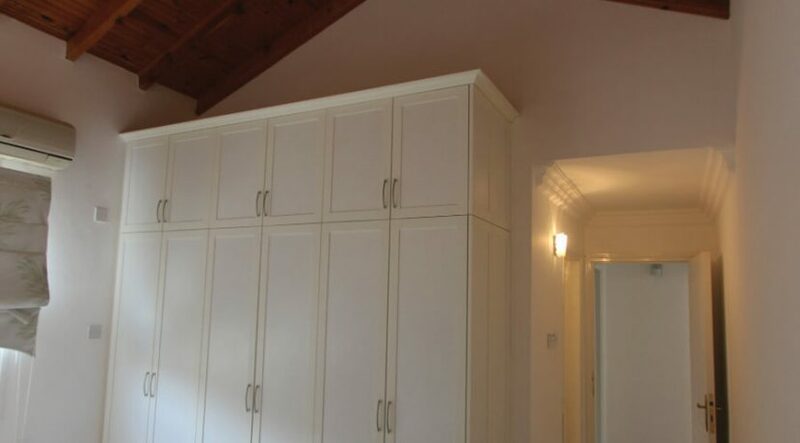 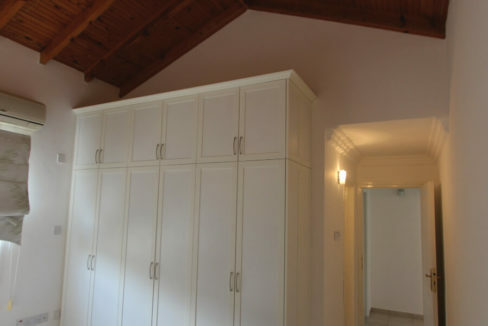 The elegant kitchen area offers a good range of wall mounted and floor storage units with all silver appliances included. 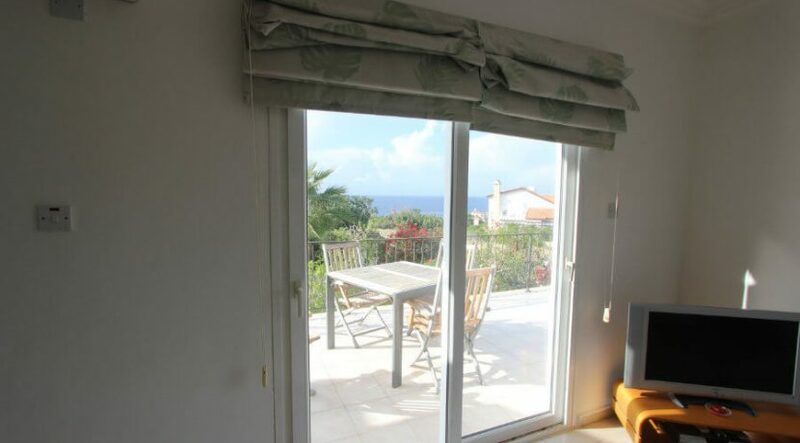 The attractive corner fireplace is the focal point of the bright and airy sitting area which has lovely sea views and three sets of French windows to the outside terrace. 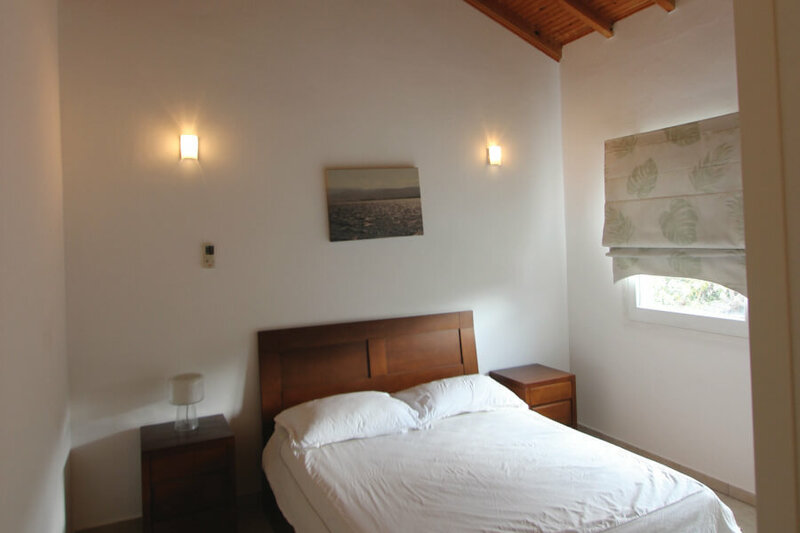 Leading off the corridor, both bedrooms have charming wood paneled ceilings, tasteful wall lighting and elegant white fitted wardrobes. 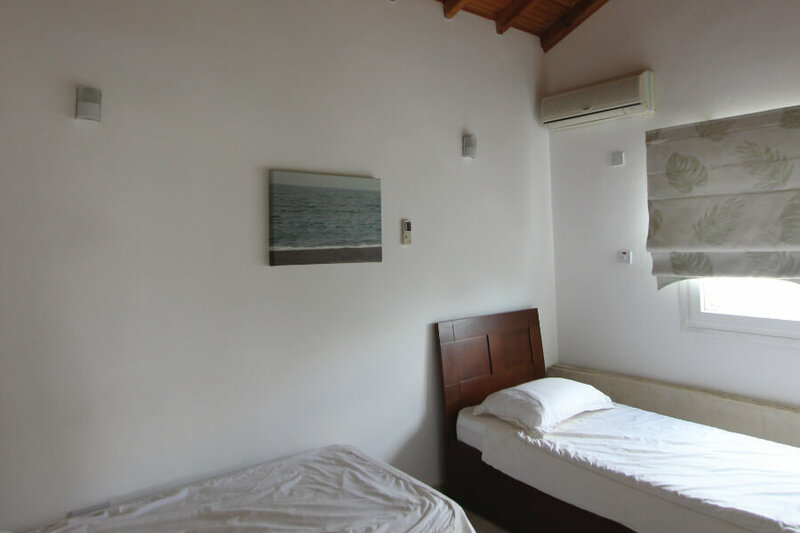 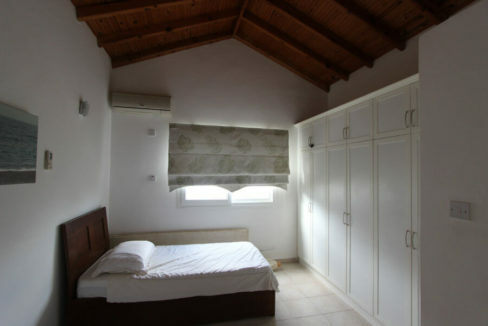 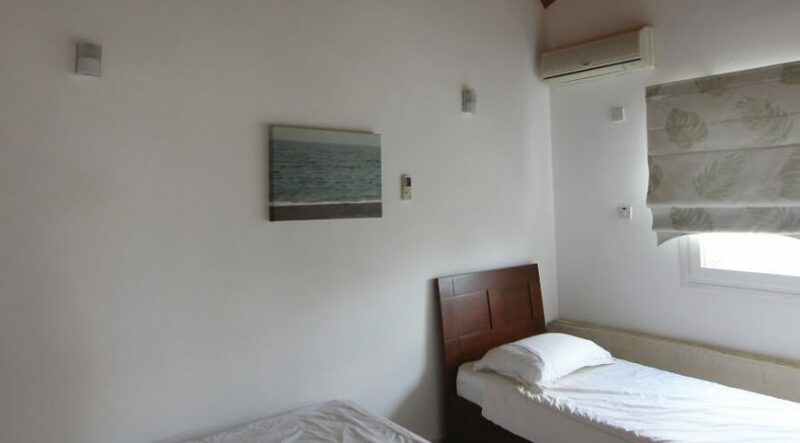 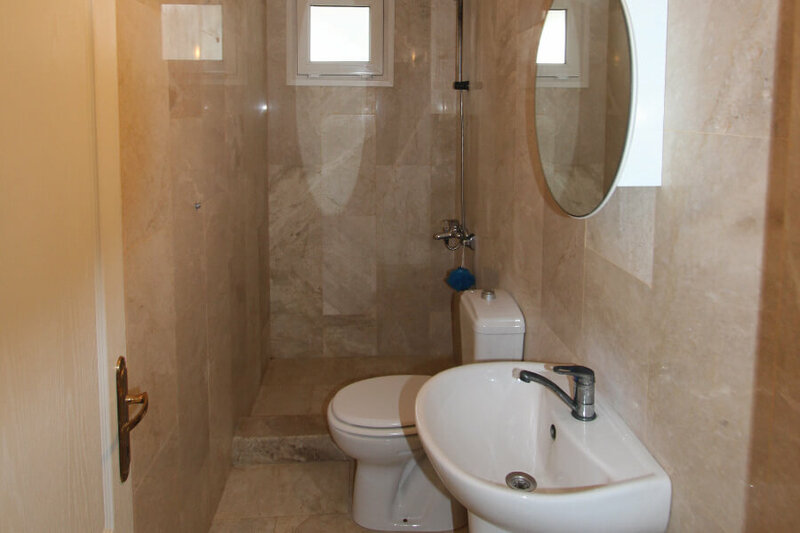 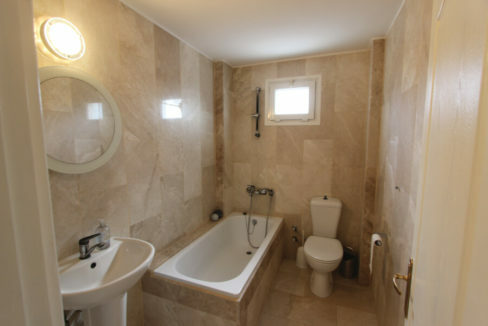 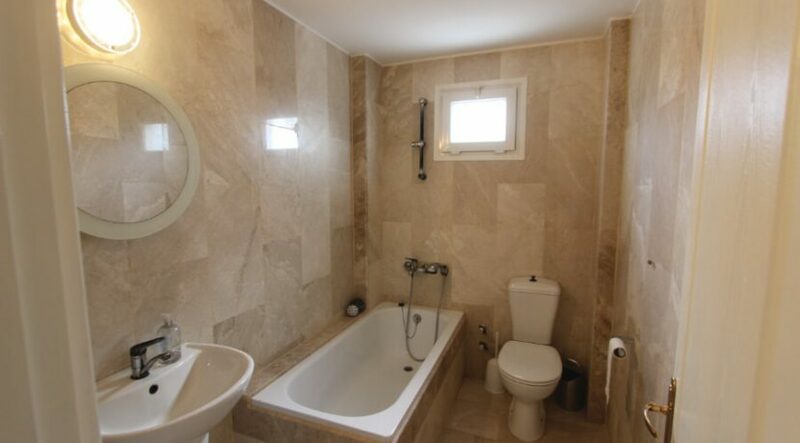 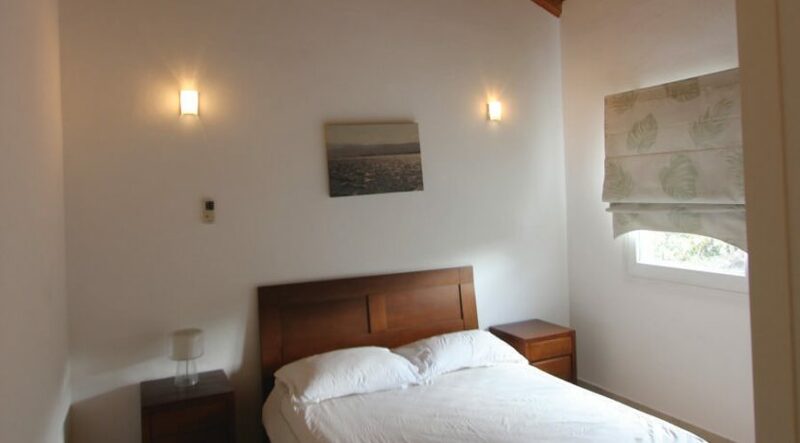 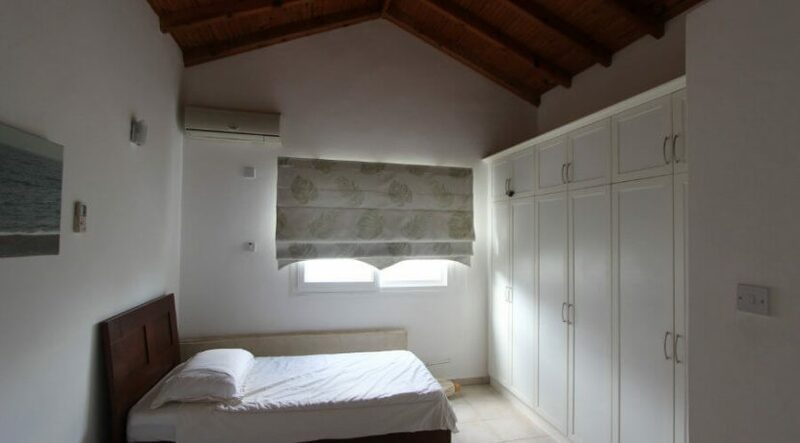 The master bedroom has an ensuite marble tile shower room, and the family bathroom has a full bath/shower with same high-quality floor to ceiling tiling. 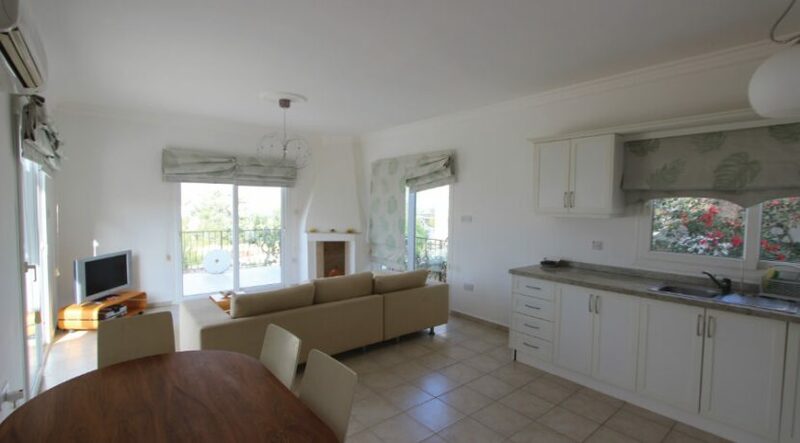 The property benefits from central heating infrastructure as well the open fire – making it easy to install central heating later. 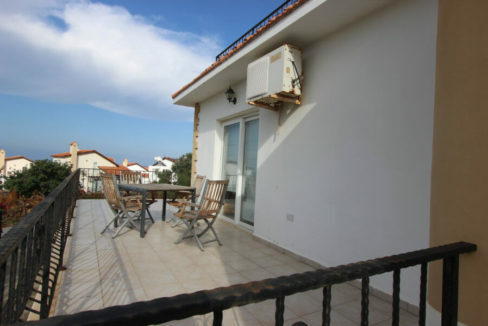 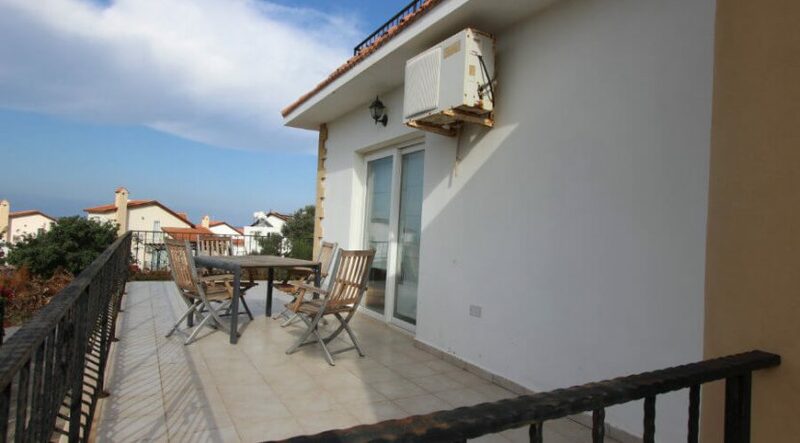 Up the external private staircase, the panoramic sea and mountain view roof terrace with traditional BBQ is a real bonus, offering a perfect location for relaxation, sunbathing or al fresco dining. 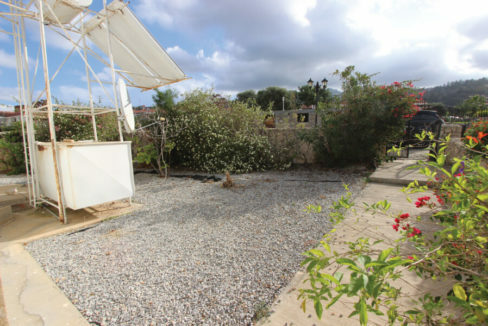 The private walled garden which surrounds the terrace has an easy-to-manage graveled area as well as some lovely mature Mediterranean shrubs and flowers. 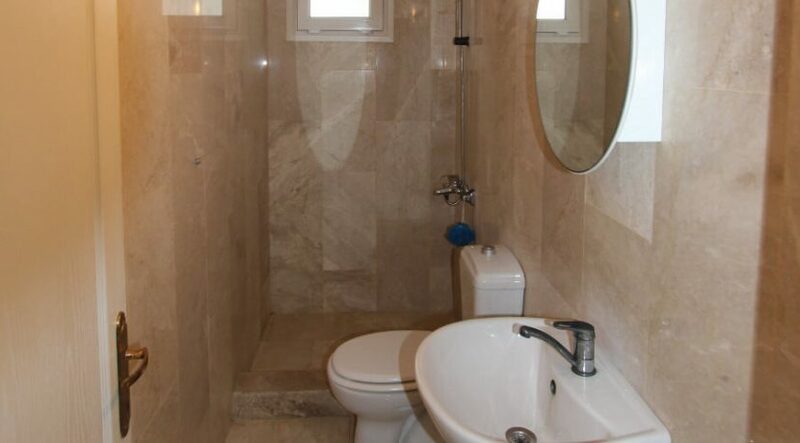 This property is priced low for quick sale and early viewing is recommended. 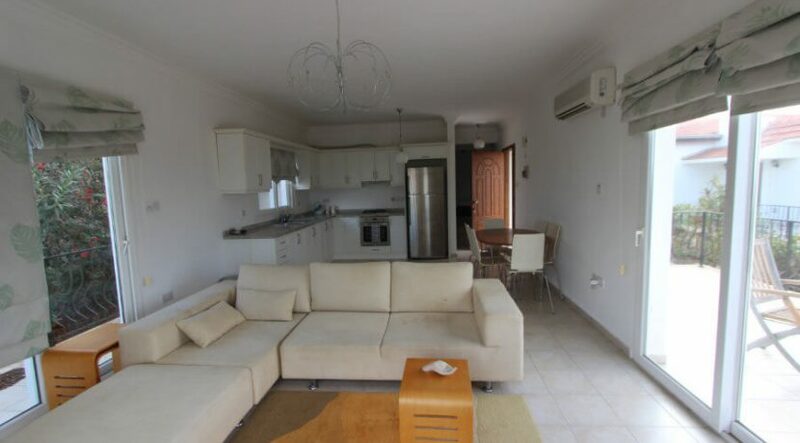 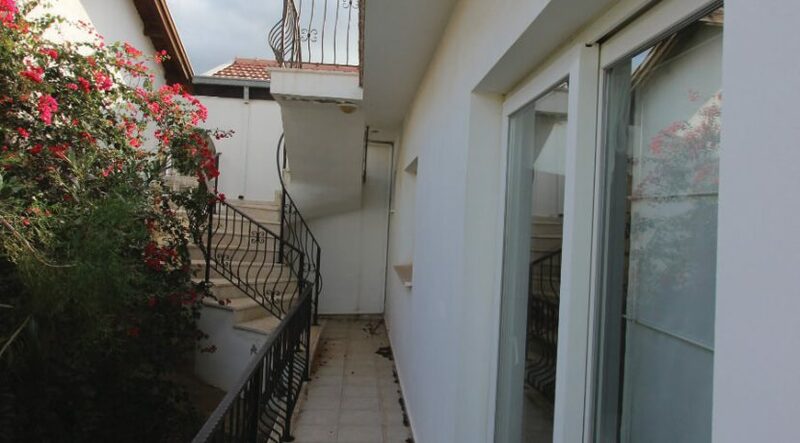 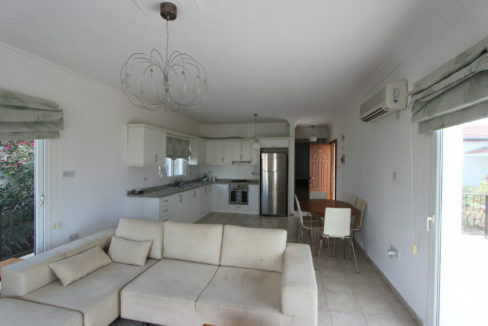 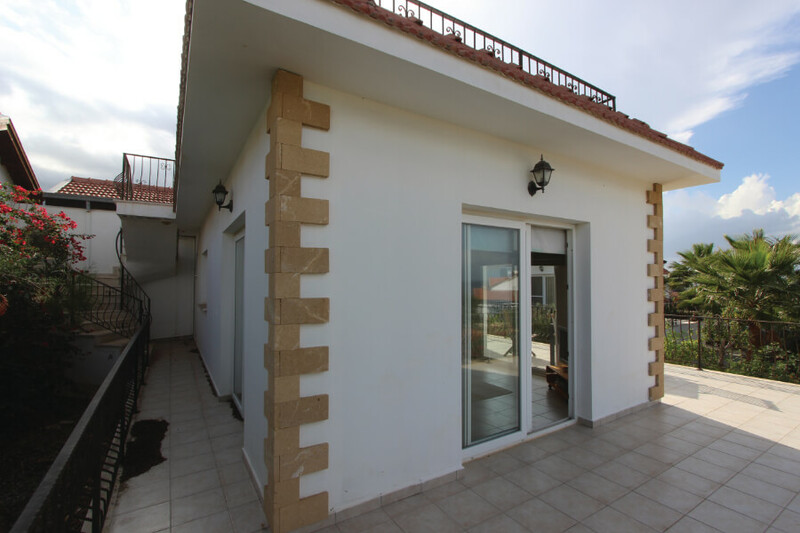 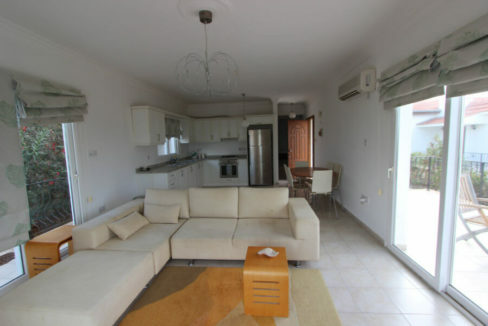 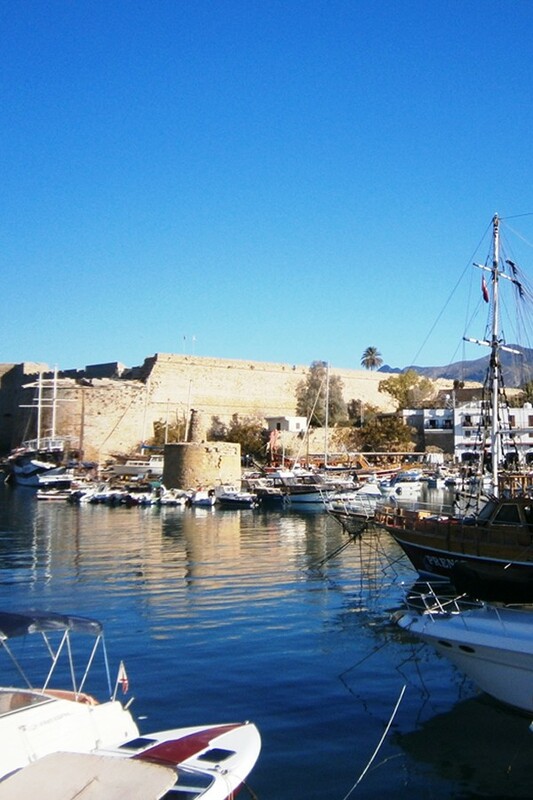 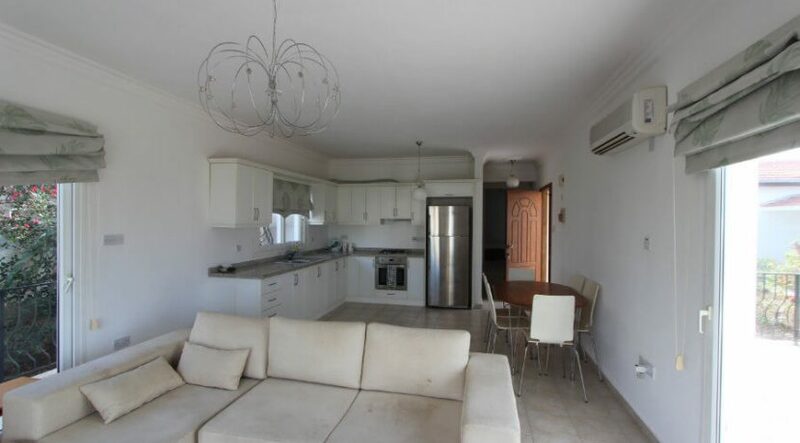 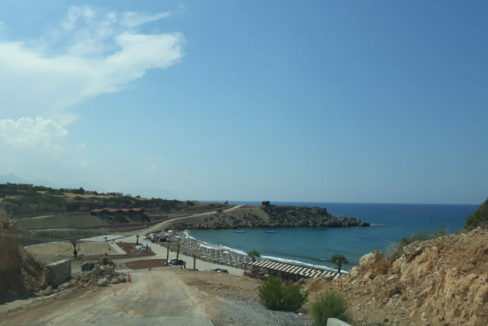 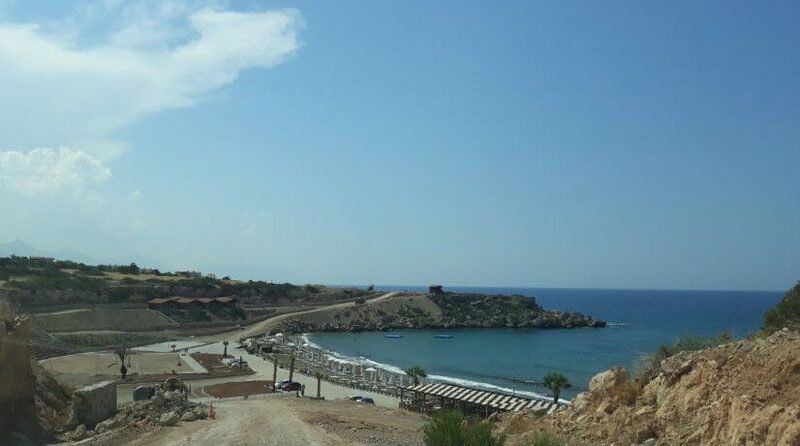 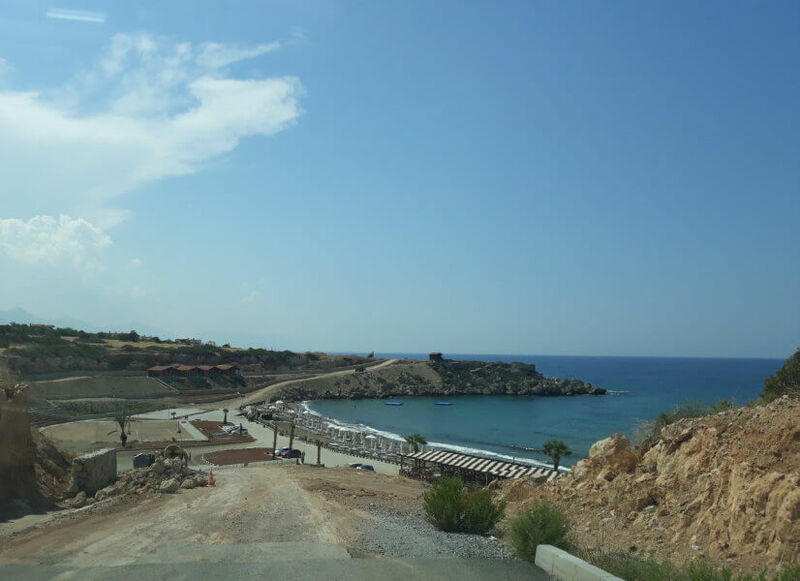 Please contact our experienced North Cyprus International (NCI) team in UK or Cyprus for viewings or inspection trip – on +44 207 112 8086 or +90 548 861 0600.